Static Product lets you place a certain product at any place of your website. The element will display product heading and product description at all times. However, for the demo section, it will change as soon as you hover your mouse over it. First include product Image, Title and Description. If you want to link the actual product location on the internet with the element, paste the link in the Product Link URL field under Links and Buttons . By default teh Live Demo Text is set to- Live Demo. Go ahead and change it as you like. Now if you want to attach the link to a button instead the product image, then toggle on the Show Details Button option. Hack- You can always use both of the link options to attach two internet location to your element. Then Adjust the normal and hover Background separately. Pick separate Background, Text and Border color if you want. Set Container Max width and adjust its Alignment. The hover style is very important for the Static Product element. Include a border and Box shadow for the element. You can pick an Overlay and live link color. Then separately adjust the Product Title, Content and Background color and typography. 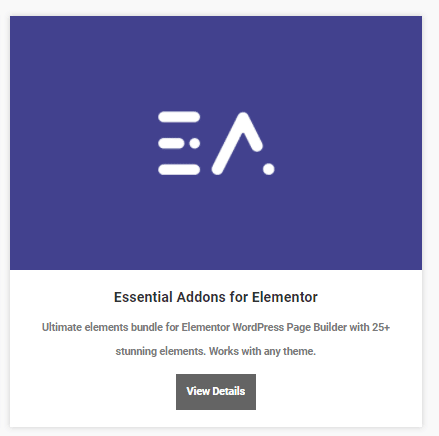 See how beautiful Static Products you can build with Essential Addons.